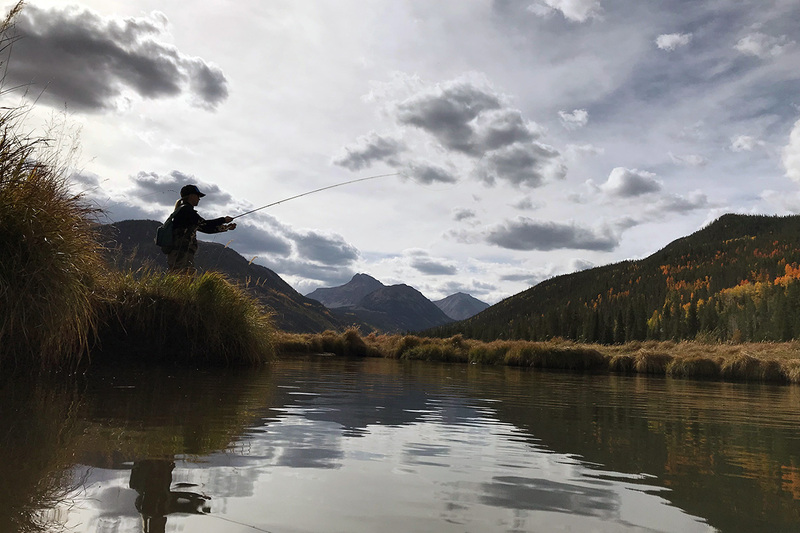 Catch the “Zen” along with fish when you join All Seasons Adventures and our skilled fishing guides. 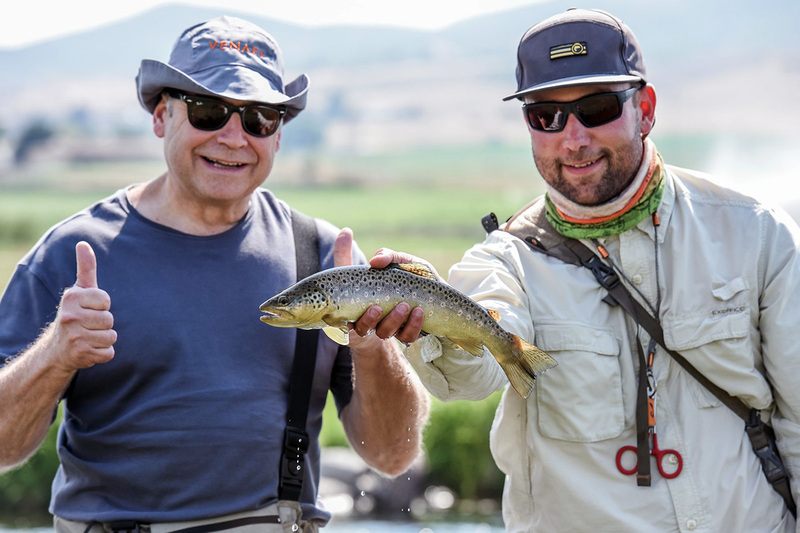 Whether you are a seasoned fly fisher or a novice, we will make your experience in Utah one to remember. 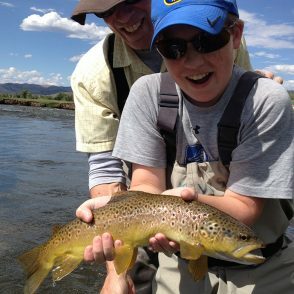 We offer half day and full day trips on the Weber or Provo Rivers. 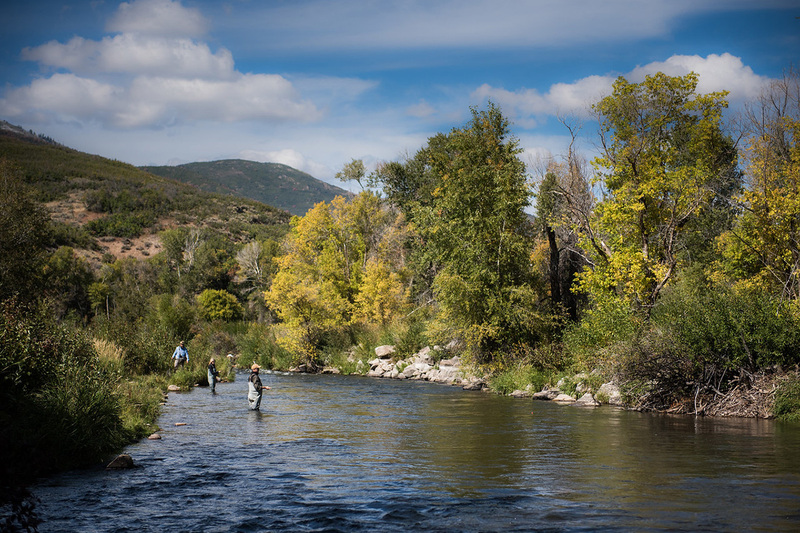 In the United States the highest quality fisheries are referred to as “blue-ribbon” rivers. 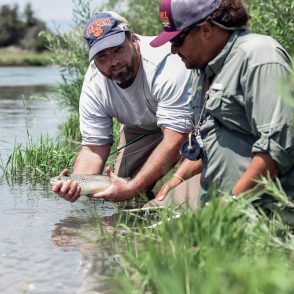 The Provo River is one of them. 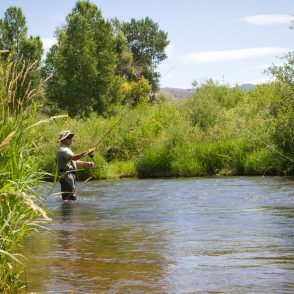 With such a quality river only minutes away, all you need is to give us a call! 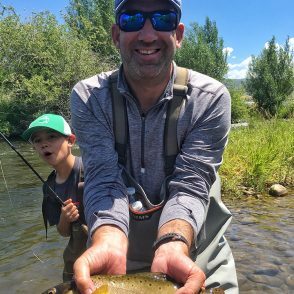 Your fly fishing experience will quickly become a memory you'll want to share with everyone you know. We will handle getting your license, gear and all the terminal tackle for you. Your guide will pick you up at your lodging location and drive you to the river. 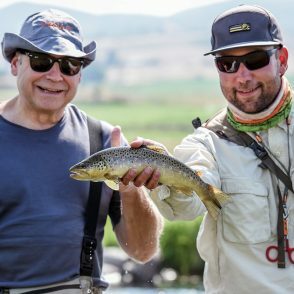 For the most rewarding experience, we want you to spend as much one on one time with your fly fishing guide as possible. 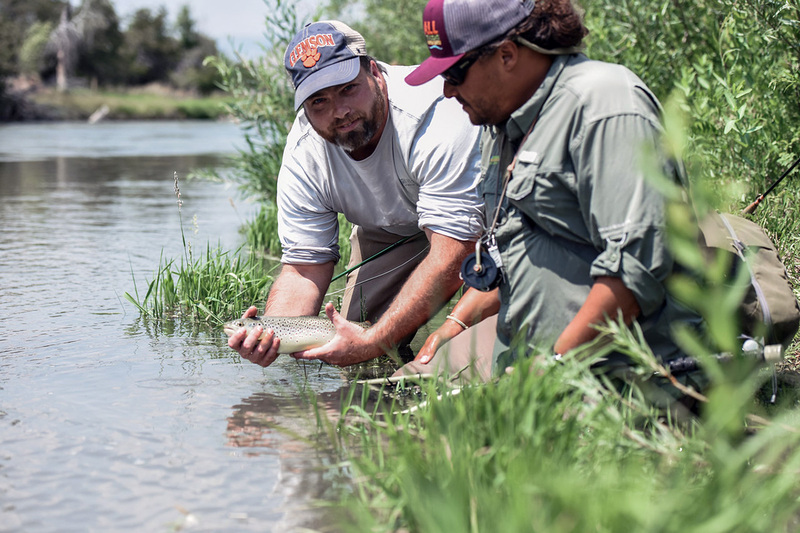 To ensure this happens, we will not group more than 3 guests with each fly fishing guide. Perfect for first timers or experienced anglers. 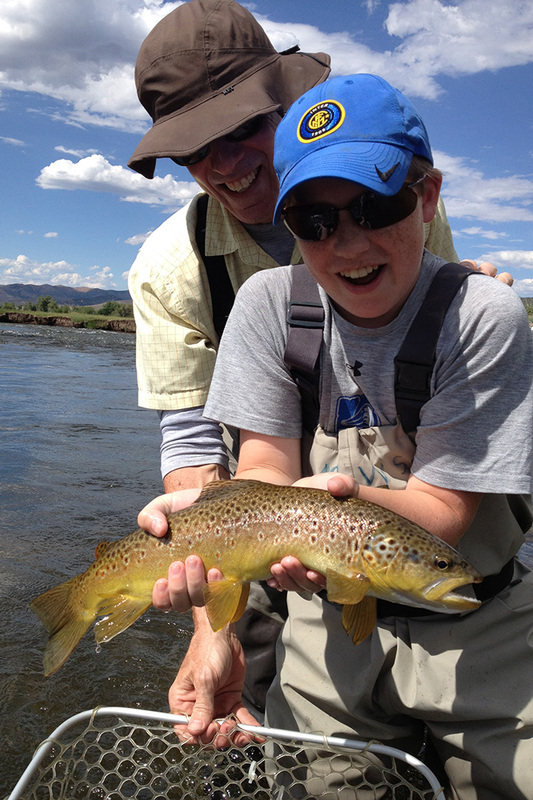 Spend four hours on the river with our half day fly fishing tour. Trips are usually 5 hours door to door. 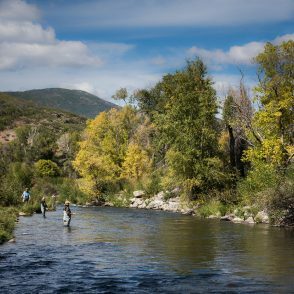 Let our Provo River and Weber River fishing guides show you why Park City is a Utah's fly fishing destination. 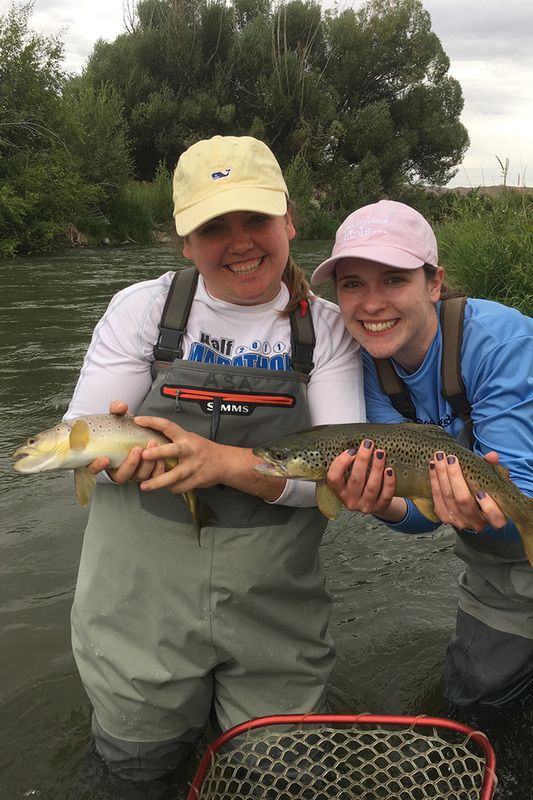 Avid anglers will most appreciate a full day on the river fly fishing. However, if you truly enjoy the outdoors and are looking to hone your skills this might be for you. When you schedule a full day trip expect at least 6 hours on the river. Lunch is included in the Full Day tour. 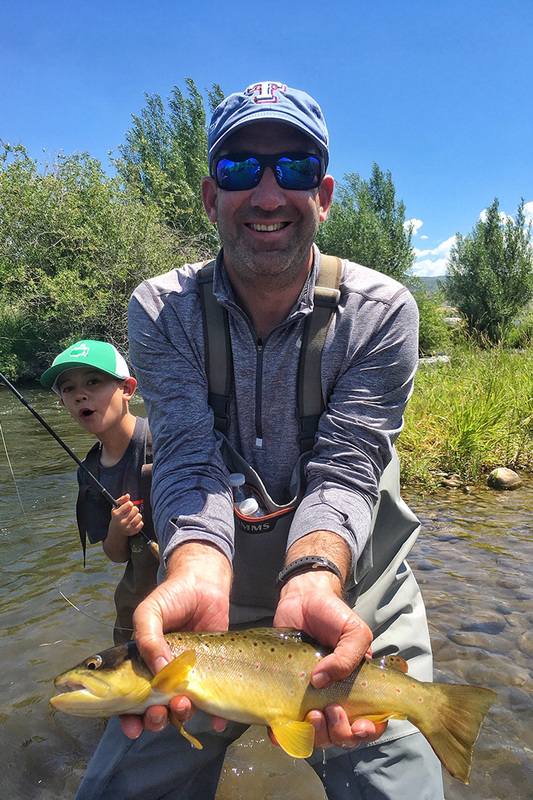 Park City, Utah has long been a fly fishing destination and here at All Seasons Adventures we would love to show you why. Your customized half day trip will typically start with an early morning 7:30am or afternoon 2pm pick up from your lodging. 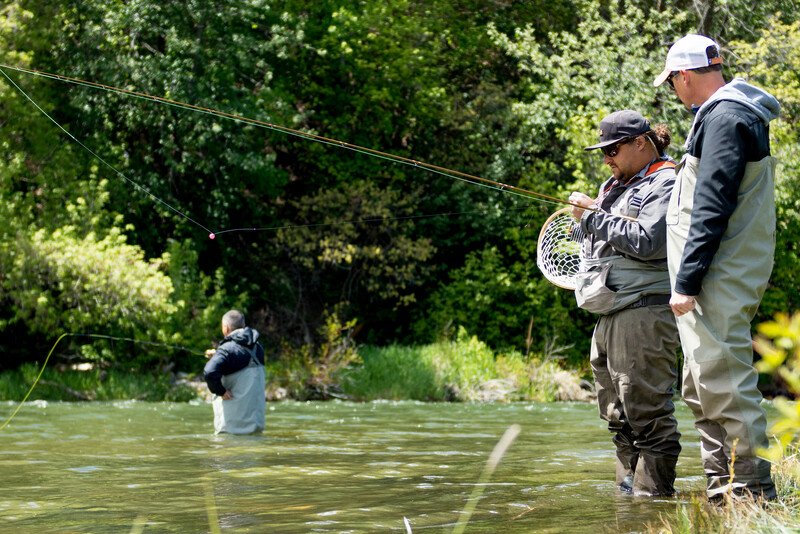 Full day trips are recommended in the morning as we all know the early bird gets the worm... or in your case, fish! 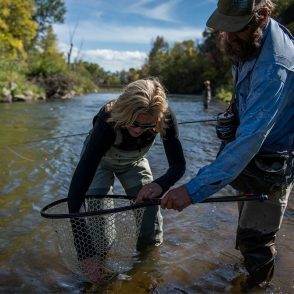 Your fishing guide will have equipment for the excursion including: waders, wading boots and all other essential fly fishing equipment. 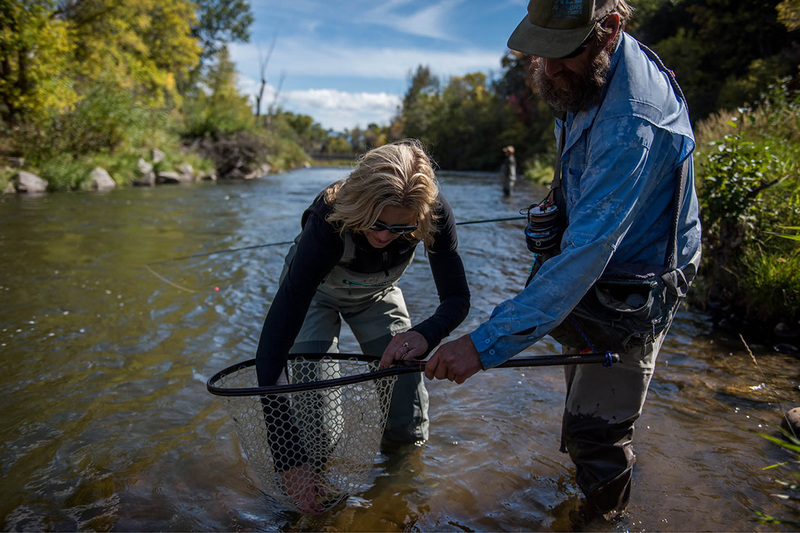 Each guide has their favorite spot, some prefer to fish the Provo River while over guides love the Weber River. 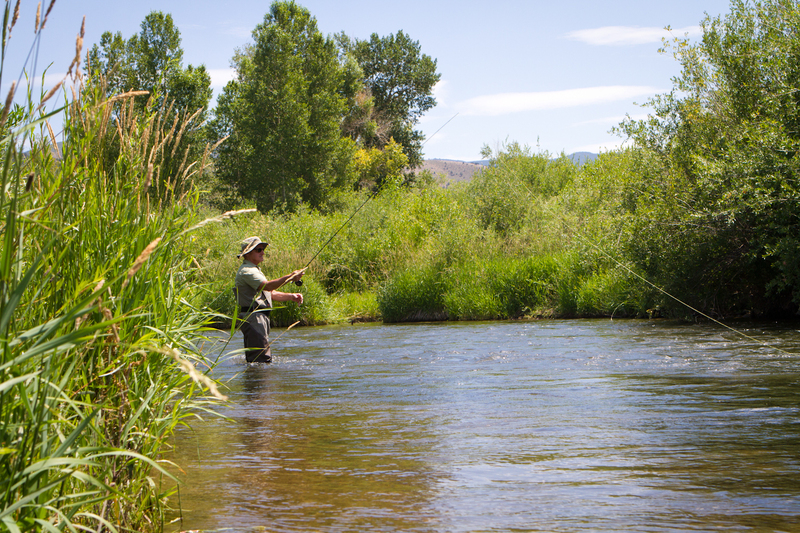 Each river is approximately 30 minutes from Park City. Expect to do a little hiking and crossing the river to reach the perfect spot. We welcome first timers to the avid angler. Your guide will tailor the trip to your experience level. While we don't guarantee catching fish, we guarantee a day to remember. 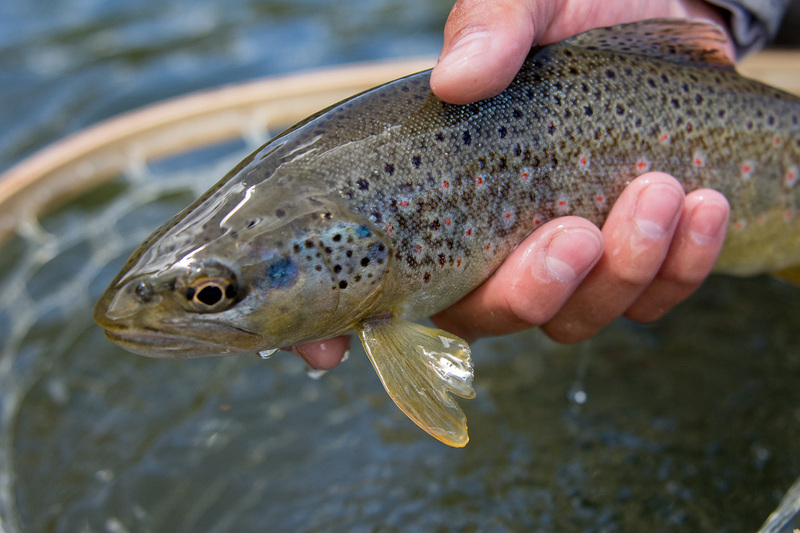 We practice catch and release to allow the trout and other native species a long and healthy life. All tours are private with a max of three clients to one guide. 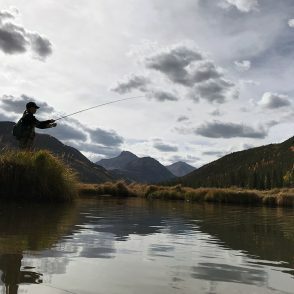 Half days are typically four hours on the water and full days are six hours on the water. Lunch is included in the full day tour. To ensure a streamline process be sure to complete the license form in your booking invoice at least 48 hours prior to your trip. 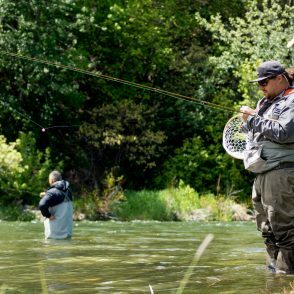 As you will be wade fishing be sure to dress for the weather, wear sunscreen, baseball cap, sunglasses and don't forget your socks! 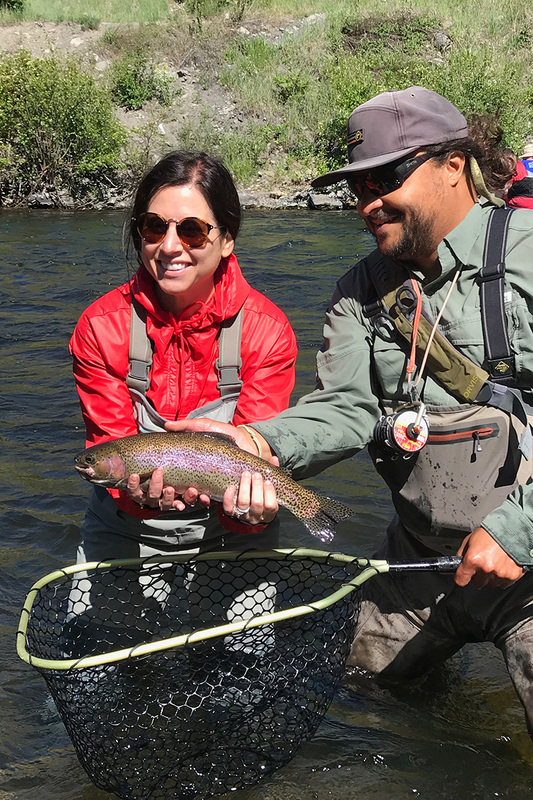 Along with an exceptional guide, round trip transportation, all necessary fly fishing equipment, snacks, sodas and waters are included on each fly fishing excursion. 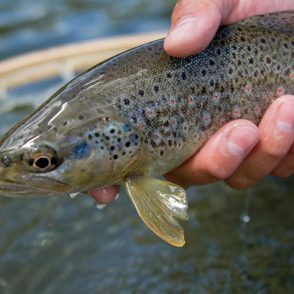 Your guide will provide you with the best flies for the fishing conditions. If you are out on the full day trip lunch is also included. 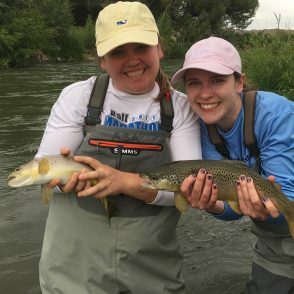 Book our Float & Fly Fish or Blast & Cast Package! 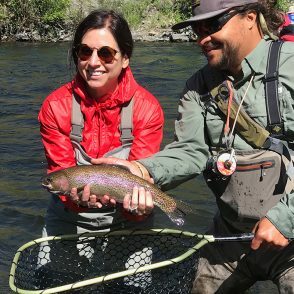 Winter Fly Fishing: Hire a Guide and Take out the Guess Work!